It was a glorious weekend. Temperatures in the 60s and sunshine! 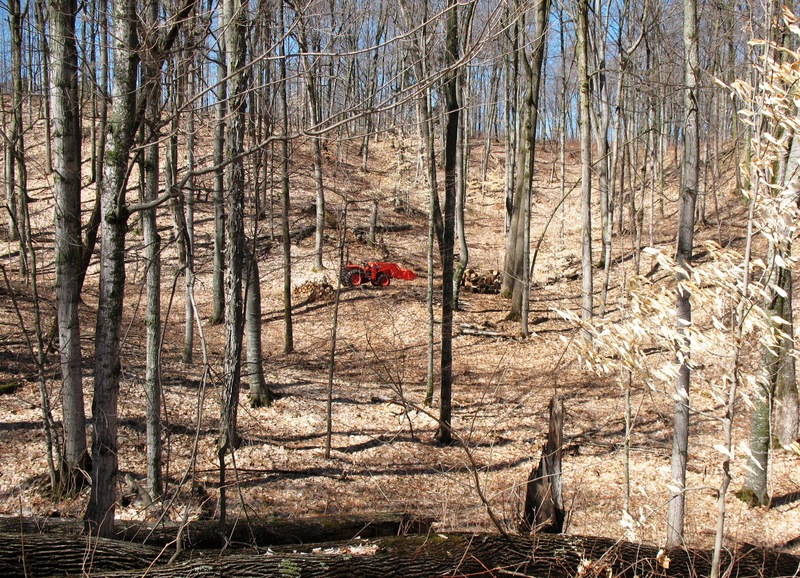 Almost all of the snow is gone—except in a few spots in the shade (north facing slopes) or where Rick piled it with the blower during the winter. There are a thousand things we should be doing. But the ground is not yet thawed, and … well, we rationalized why the highest and best use of our time would be to open up the trails to the “back forty.” The property has a slightly graded panhandle (for road access) and then a chunk of steep hills and valleys leading to an upper meadow. On foot, it’s a heavy breathing hike. Until now, we’ve only been able to access it with a vehicle by going on an old logging road through the neighbors’ back yard. 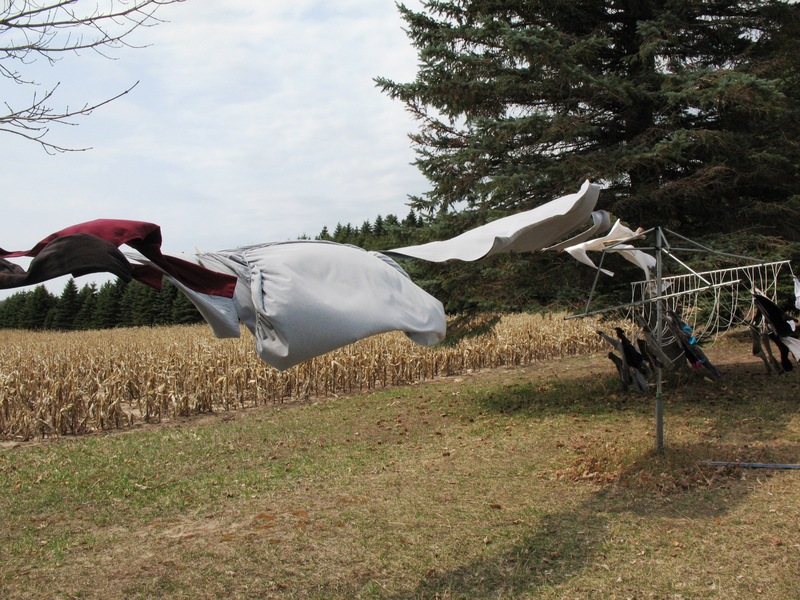 The neighbors have been good about it, but not enthusiastic. So, really it was about getting access and keeping good neighborly relations. It had nothing to do with the outrageous weather. 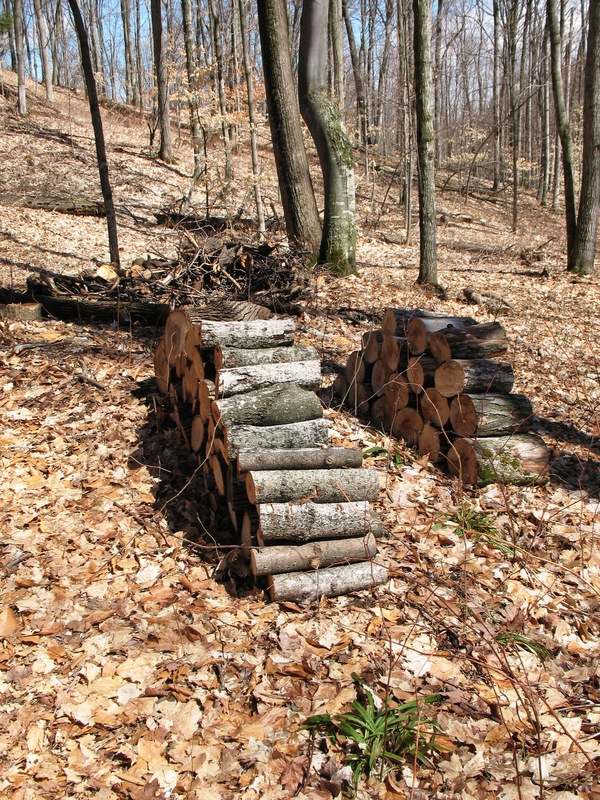 We need the access because back there is where we harvest the deadfall for our firewood heating supply. 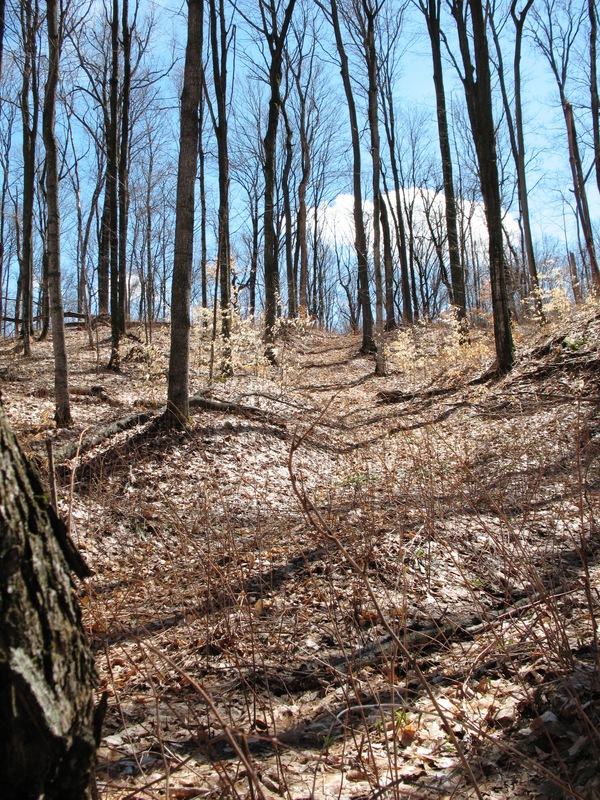 The hills are heavily forested and, especially with the Emerald Ash Borer losses, they are littered with standing and dropped dead trees. This ash is doomed. 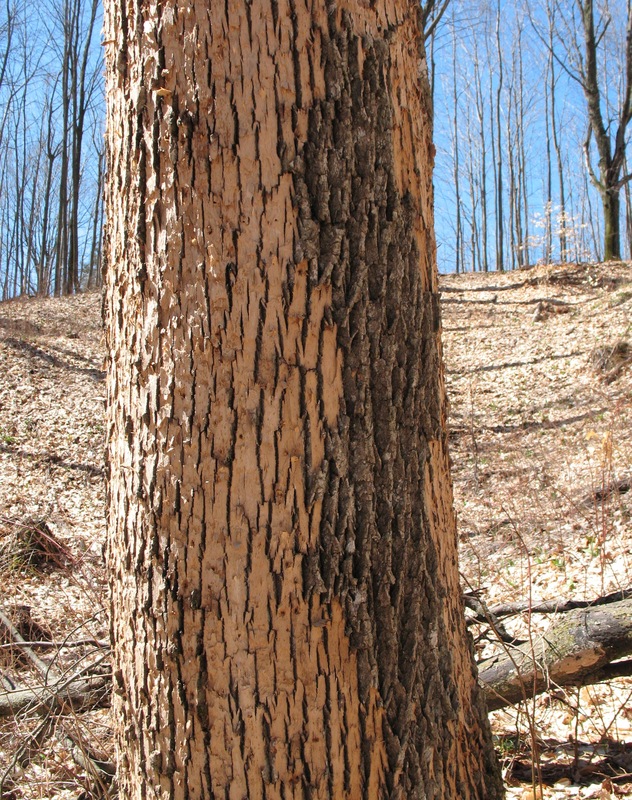 Pileated woodpeckers have chipped off the bark surface to get at the borers, below. It breaks our hearts, to see these dead any dying trees but we’d be fools to let the wood go to waste. 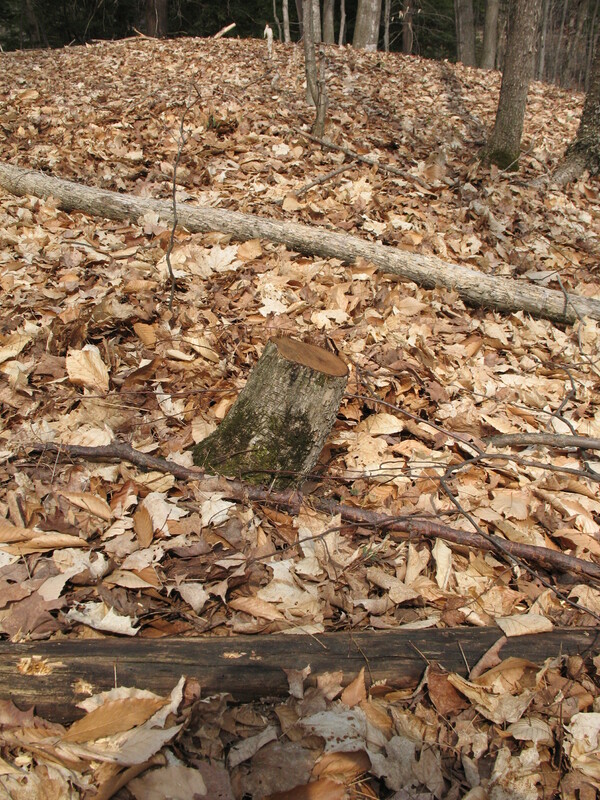 The property is criss-crossed with old (and pretty steep) logging roads, many of them blocked with fallen trees. 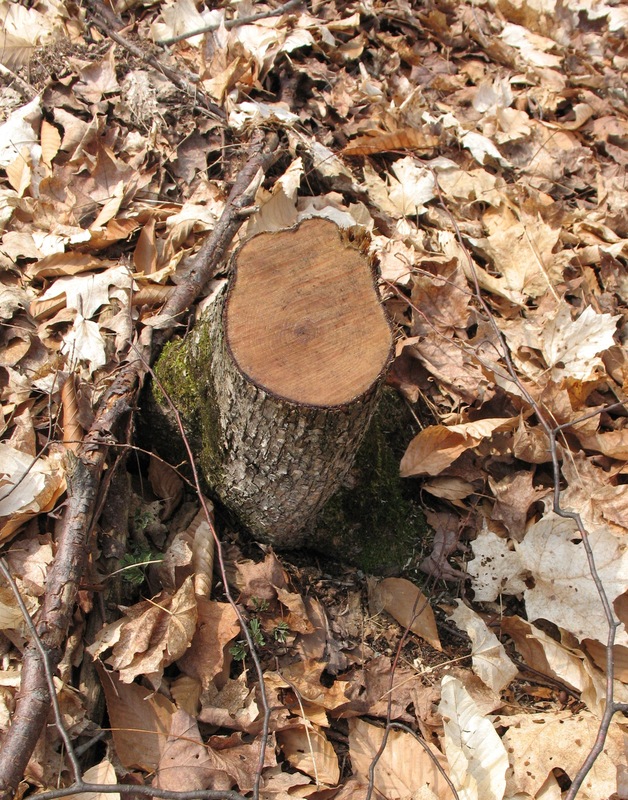 The weekend would be a trail clearing exercise. 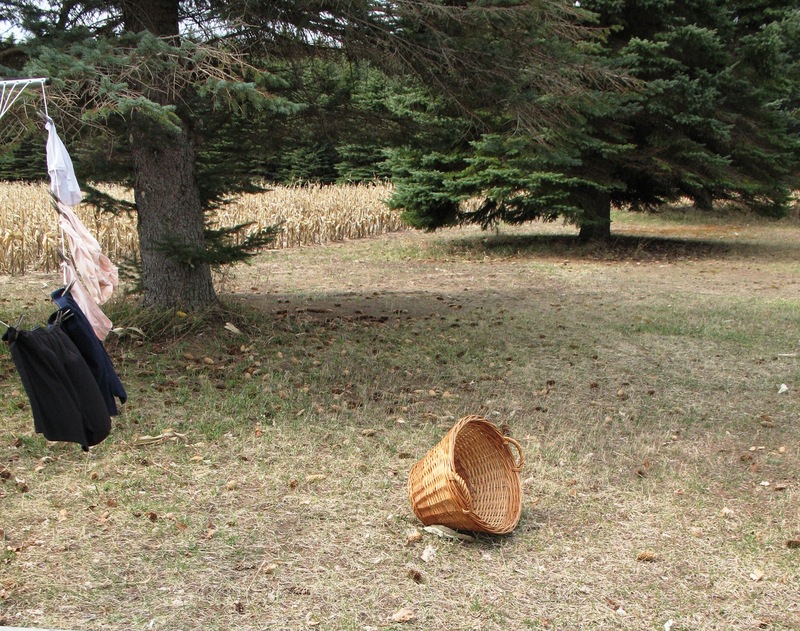 It was not to be a harvesting foray. 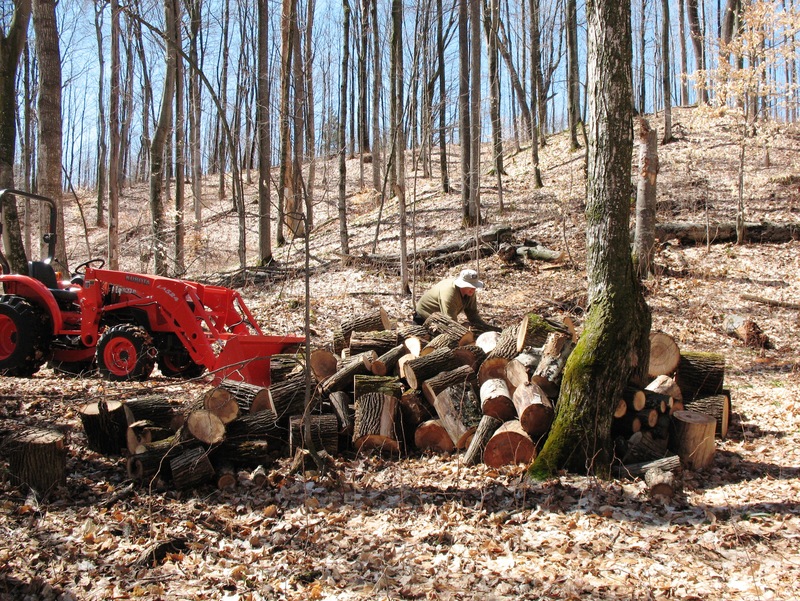 We are agog over how much safer and easier the firewood harvest can be with Kubota assist. 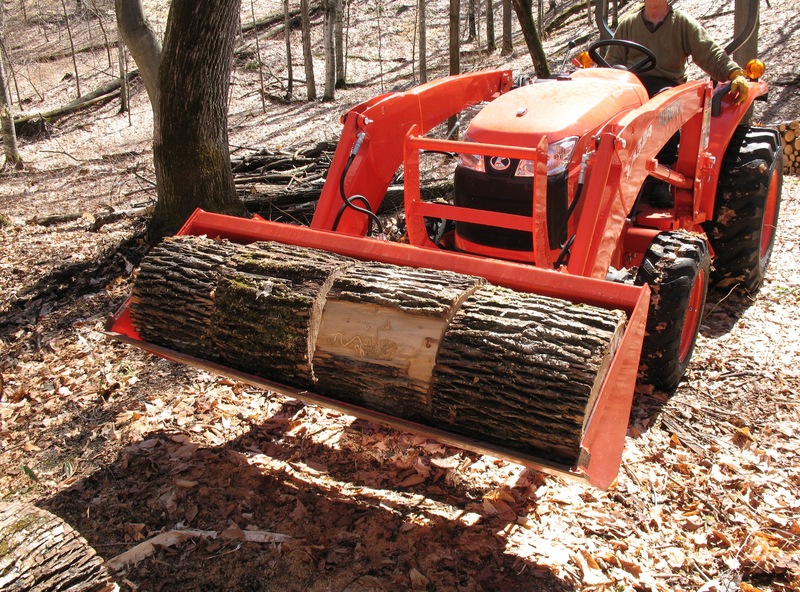 You can chain lift logs for safer sawing access, or just drag them down the slopes to cut where there’s no danger of rolling. Even with that, it’s heavy work. We came home each night achy and sweaty, but elated. We’re naming the “new roads” as we open them up. The woods are lovely this early in the year. 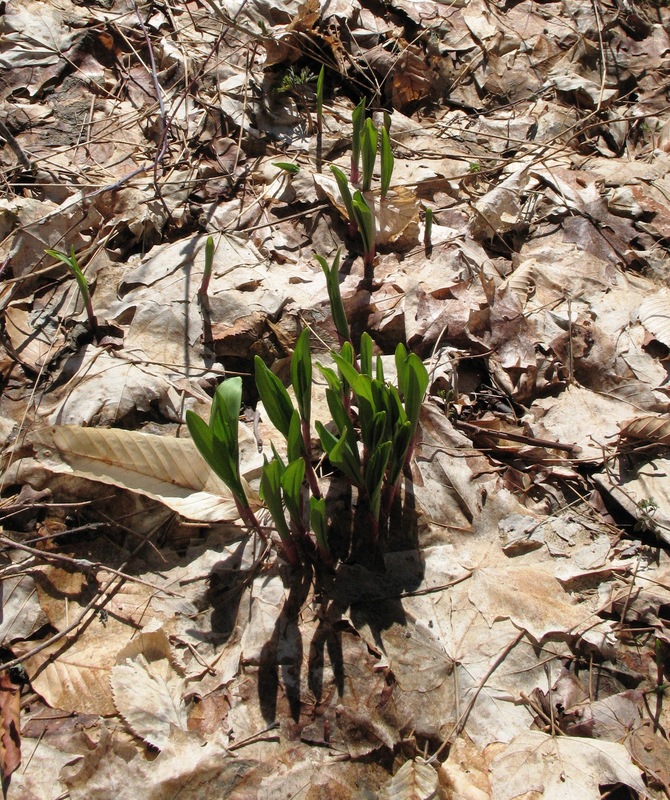 There’s the carpet of leaves, and just the tips of the wild leeks and Dutchman’s Breeches peeking through. There’s only one hitch. Now there’s no doubt that we need a little trailer. Our lovely circuitous trails can get us in to make wood—but that’s where the wood will stay until we can wrangle a trailer in. It’s too much wood to try to remove with just the loader. And like many in the Midwest, after the first incredible weekend of spring, we’re stiff and sore.